The sparkling mirror finish gives the knives a polished, luxurious appearance. The steel incorporates 18% chrome and 0% nickel, so it doesn't fade with time. 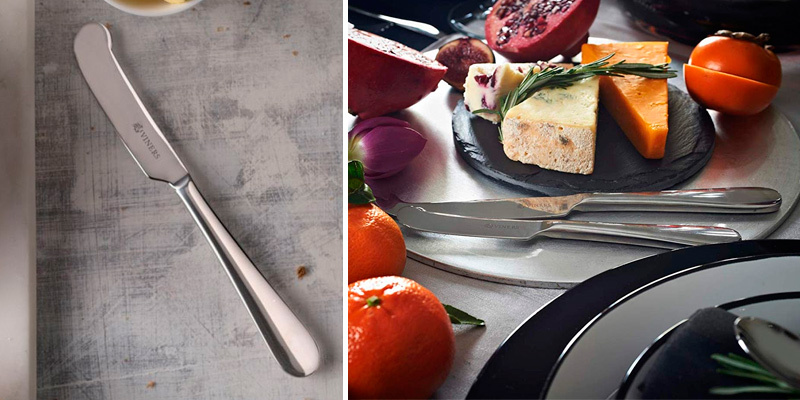 That classic teardrop handle lets you cross coordinate them with your existing cutlery range. The knives are a little heavy. You can buy this butter knife set from Viners Select for yourself or for friends and family as it makes a perfect gift. 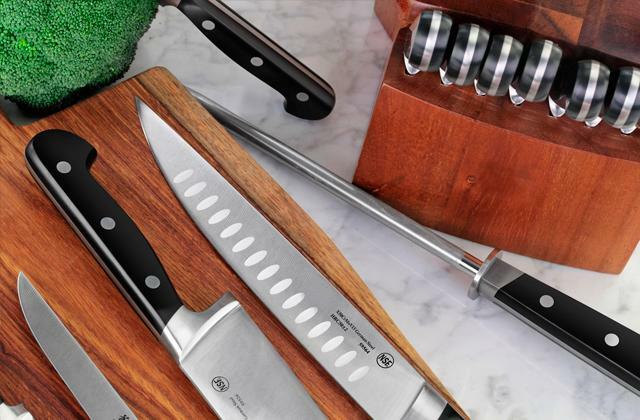 Though the knives look elegant and stylish, the whole thing doesn't really cost all that much. With 16 cm in length, the model is a little smaller than your average knife, making it perfect for scraping marmalades and jams from jars before spreading. 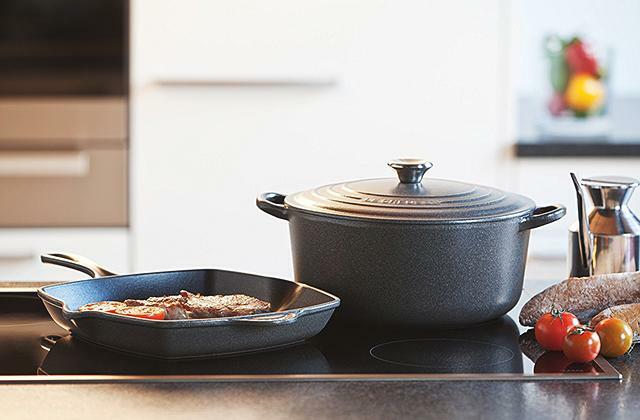 The stainless steel here is corrosion-resistant, so you can use the knife 3 times a day 5 days per week year and after and it will remain looking as good as new. Some find the handle a tad short. 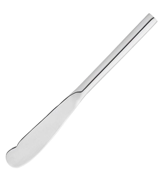 KitchenCraft Masterclass Butter Knife will make an excellent addition to any cutlery set. On top of everything else, the model's blade maintains its sharpness over prolonged periods of time, so you won't have to sharpen the knife all that often. 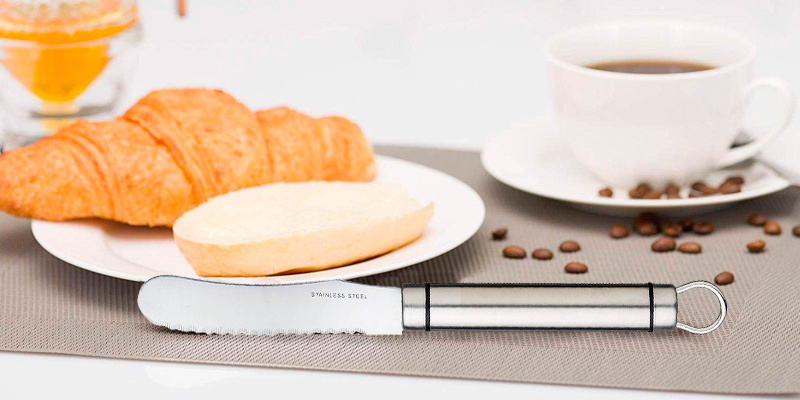 Using the serrated blade, you can slice a freshly prepared sandwich, ready-to-eat hot crumpet, or the richest, tastiest cream tea scone. The model features a comfortable ergonomic handle with a standout black grip giving it easy recognition within any pile of utensils. The blade is susceptible to scratches. Though still a butter knife, this model from Simpa is a lot more flexible than the usual deal. With it, you'll be able to do a little more than spread butter, jam, or any other condiment. 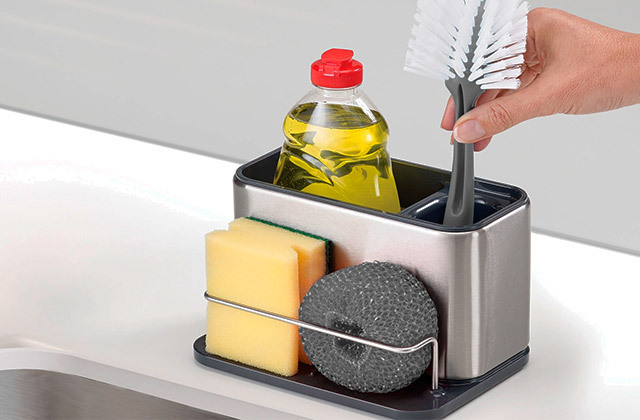 Plus, the handle makes it more practical and comfortable. 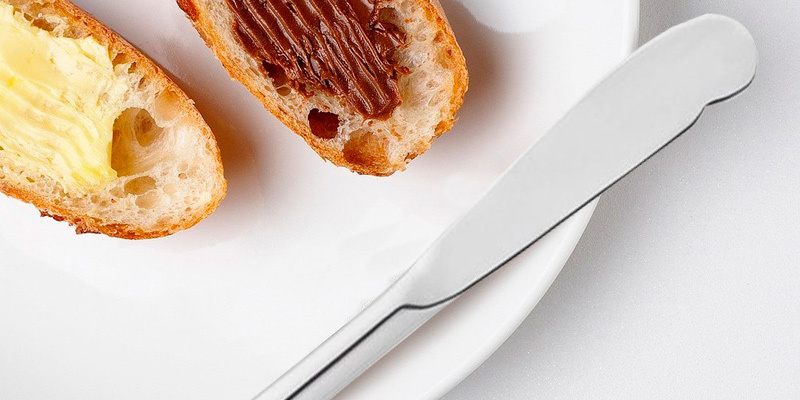 With its flat blade, this little utensil is perfectly capable of spreading even chilled butter. 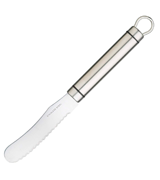 The micro-serrated knife can be used for halving sandwiches, slicing tomatoes, removing crusts, and other similar kitchen tasks. It doesn't transfer flavours and odours between foods. The manufacturers don't recommend cutting harder products. 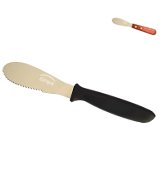 This model from KitchenCraft is easily the most versatile butter knife we have here on our list. Its construction is impressive and the knife's range of applications is nothing to scoff at. It also comes with a nice hanging loop for simplified storage. Though the handle doesn't appear all that comfortable, it sits surprisingly nicely in hand. What's more, it is perfectly symmetrical, making the knife equally suitable for lefties and right-handed people. The blade is well-rounded, so you won't be able to do any accidental damage. The blade is a touch too thick to take a thin slice of butter. Stellar Butter Knife is, more or less, a basic butter knife and there's nothing wrong with that. It looks good. The model is perfectly functional and practical. Plus, it doesn't cost a whole lot. Looking for a lovely housewarming gift? 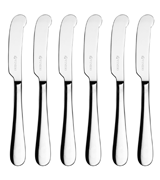 Viners Select has you covered with this excellent butter knife set. It comes in a nice elegant box, making it a really good gift regardless of the recipient's tastes. Furthermore, the knives themselves look fantastic. 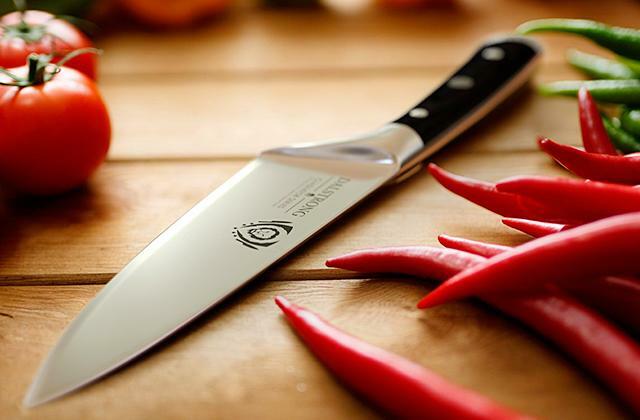 The admittedly high-quality stainless steel construction in and of itself is nothing to write home about but the sparkling mirror finish really makes a huge difference, giving the knives a polished, luxurious appearance. Plus, the steel incorporates 18% chrome and 0% nickel, so it doesn't fade with time. Other than that, these knives are more or less similar to your average butter knives. That classic teardrop handle lets you cross coordinate them with your existing cutlery range. They are completely dishwasher safe and the whole thing comes with a 25-year warranty, so you know the people behind it mean business. About the only issue we have with the set is that the blades are relatively heavy. Naturally, they aren't heavy enough to really make a significant difference but the weight difference compared to an average knife like that is noticeable enough, so we felt like pointing that out. All things considered, you can buy this butter knife set from Viners Select for yourself or for friends and family. Though the knives look elegant and stylish, the whole thing doesn't really cost all that much. 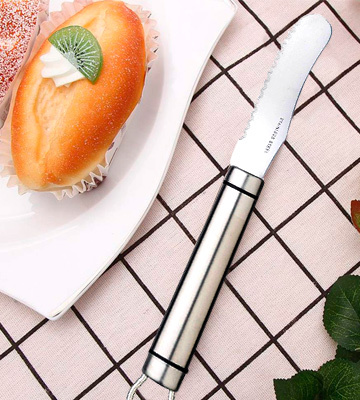 The people behind this KitchenCraft Masterclass silver knife market the model as "a great way to add special little touches to your everyday and special occasion dining" and, as far as we're concerned, that's a good way to put it and an apt description. With its nice mirror-polished finish, the knife will look right at home as part of the most elegant table setting. Measuring 16 centimetres in length, the model is a little smaller than your average knife, making it perfect for scraping marmalades and jams from jars before spreading. Some may find the knife a little too short, especially the handle but we don't really have an issue with it. Its flat curved blade makes it really easy to collect butter from a butter dish or a block and just as easy to spread that butter over bread, toast, or scones. By the way, you won't have to worry about this small butter knife losing its shine and shimmer. 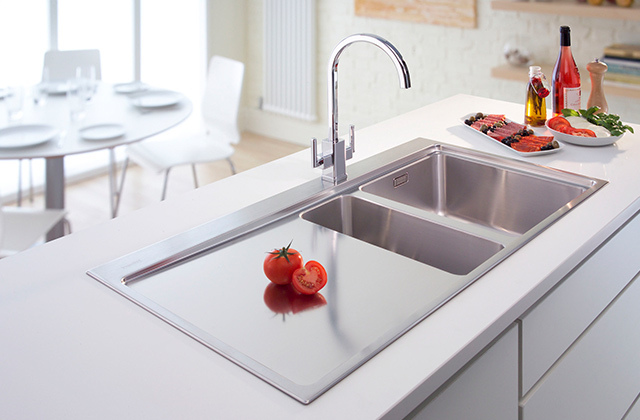 The stainless steel here is completely corrosion-resistant, meaning you can use the knife 3 times a day 5 days per week year and after and it will remain looking as good as new. 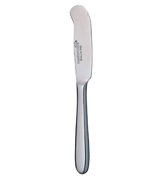 In other words, KitchenCraft Masterclass Butter Knife will make an excellent addition to any cutlery set. On top of everything else, the model's blade maintains its sharpness over prolonged periods of time, so you won't have to sharpen the knife all that often. 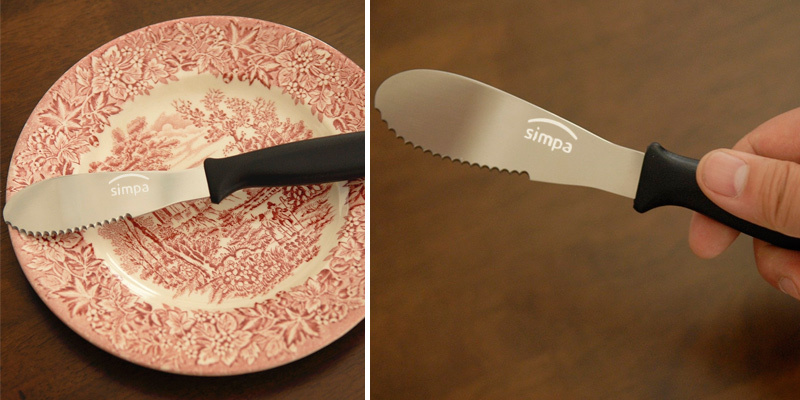 First and foremost, this little cutlery piece from Simpa comes equipped with a serrated blade. A design solution like that offers additional functionality. 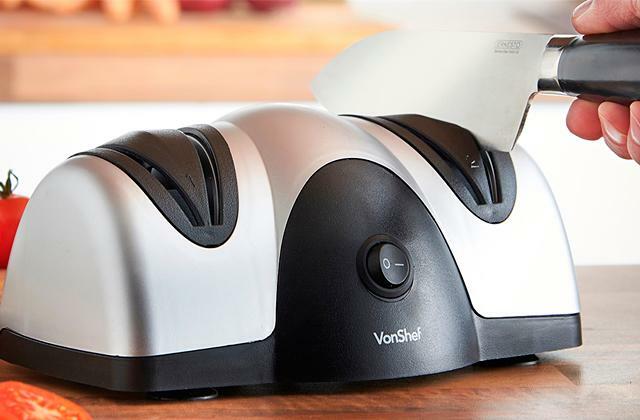 You can use it to slice a freshly prepared sandwich, ready-to-eat hot crumpet, or the richest, tastiest cream tea scone. Though a little less important, the serrated blade isn't the only thing that separates the model from your average butter knife. 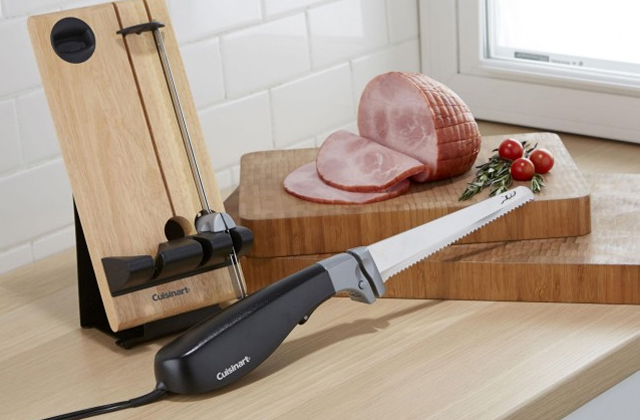 Where most of these knives come equipped with a regular stainless steel handle, the model in question features a comfortable ergonomic handle with a standout black grip giving the knife easy recognition within any pile of utensils. Its soft-touch coating offers a nice non-slip grip, making sure you don't accidentally drop the knife or injure yourself in the process. Apart from that, what we have here doesn't differ all that much from every other butter knife on the market today. The aforementioned blade is nice but it is a little susceptible to scratches, so you'll have to be extra careful with it. The entire knife adds up to 20.5 centimetres in length, not too short but not too long either. To sum it up, though still a butter knife, this model from Simpa is a lot more versatile than the usual deal. 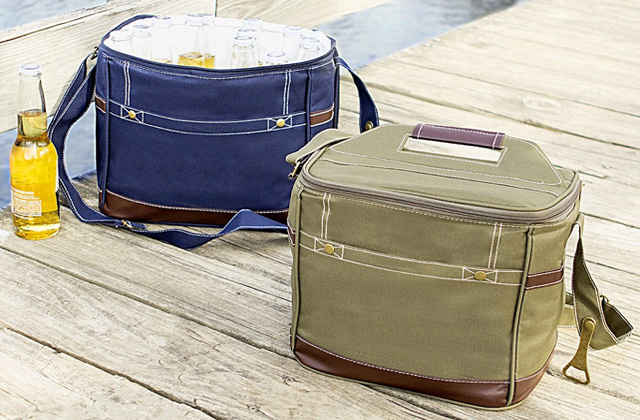 With it, you'll be able to do a little more than spread butter, jam, or any other condiment. Every other knife here doesn't really do anything all that well except for slicing and spreading butter, which isn't a knock on them considering that it's what these knives are designed to do in the first place. But it doesn't hurt when a model is a little more versatile, does it? Take this particular model, for example. 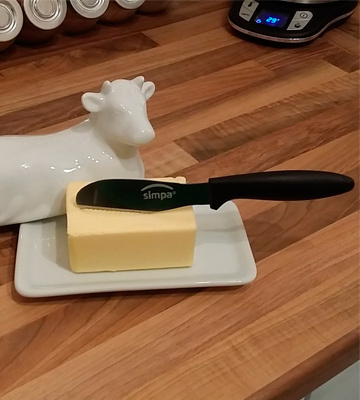 It cuts and spreads butter as well as the next knife. 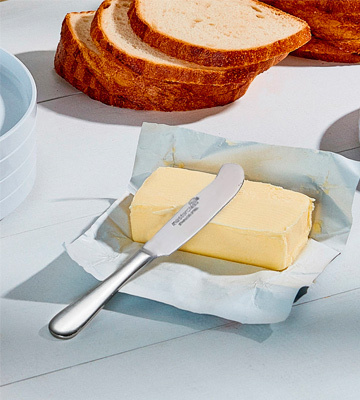 With its flat blade, this little utensil is perfectly capable of spreading even chilled butter. However, as the aforementioned blade is also micro-serrated, the knife can do a little bit more than that. 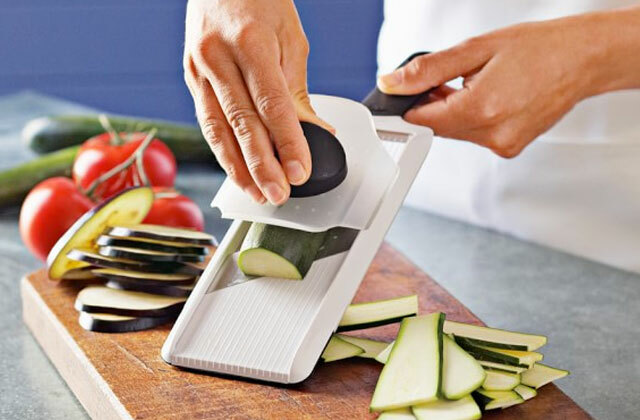 You can use it for halving sandwiches, slicing tomatoes, removing crusts, and other similar kitchen tasks. Just try to avoid harder products because those may be a little too tough for the blade to handle. The model's overall construction is nothing to complain about either. 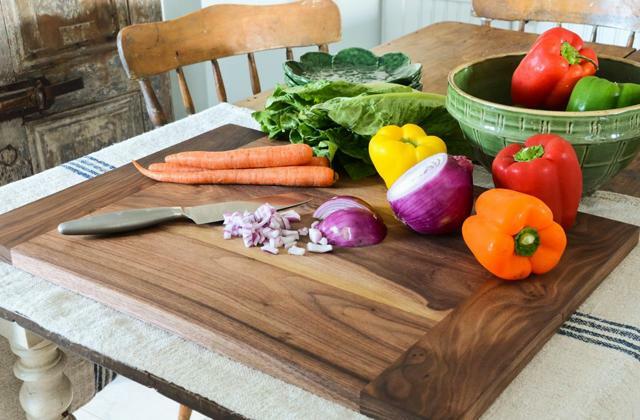 The stainless steel here is strong and durable and looks good on any kitchen table. It isn't susceptible to rust and it doesn't transfer flavours and odours between foods. 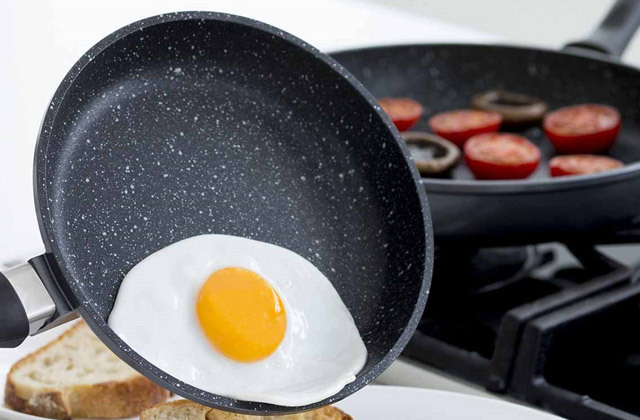 The handle is perfectly weighted and incorporates a smooth finish, so it is a real pleasure to work with. Taking it all into consideration, this model from KitchenCraft is easily the most versatile butter knife we have here on our list. Its construction is impressive and the knife's range of applications is nothing to scoff at. It also comes with a nice hanging loop for simplified storage. As you can probably tell from the pictures, this silver knife from Stellar is, give or take, a basic butter knife. It is nicely polished and its appearance is more luxurious and elegant than basic and uninspired but that's about the only thing that separates this model from any other knife like that out there. We aren't saying we have an issue with it though. There's nothing wrong with a simple, basic butter knife. Adding up to 18 centimetres in length, the model is long enough for slicing butter and spreading it across bread but not too long to make it impractical and inconvenient. Its stainless steel construction seems sturdy enough and it doesn't seem like it is all that susceptible to rust and corrosion. Though the handle doesn't appear all that comfortable, it sits surprisingly nicely in hand. As per usual, the blade is well-rounded, so you won't be able to do any accidental damage. It is, however, a little too thick to be able to take a really thin slice of butter. Lastly, the knife is dishwasher safe, meaning you shouldn't encounter any maintenance issues. Again, Stellar Butter Knife is, more or less, a basic silver butter knife and there's nothing wrong with that. It looks good. The model is perfectly functional and practical. Plus, it doesn't cost a whole lot. What Is a Butter Knife? Like a knife through butter, we've all heard the expression before. But guess what? 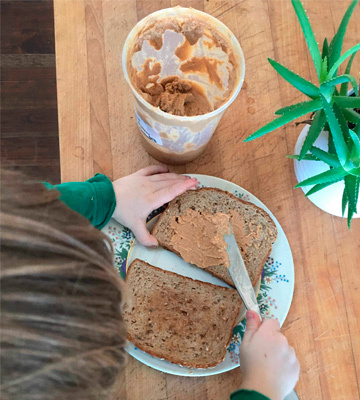 It might be easy to cut the butter with any knife but it isn't always so easy and convenient to spread that butter on a toast afterward. Well, with a butter knife, things are a little different. 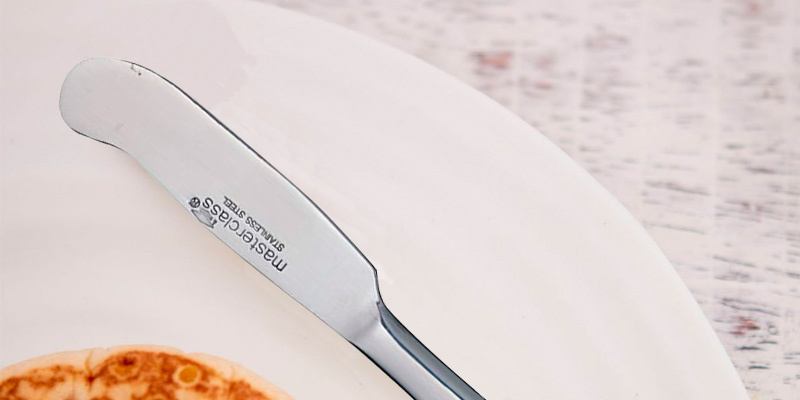 Designed specifically with that singular purpose in mind, these knives are perfect for cutting butter and spreading it nice and even over a toast. Sure, technically speaking, they aren't really all that different from your average knife but the little things that make butter knives what they are make a surprisingly noticeable difference. First and foremost, it is the overall form and the shape of the blade. 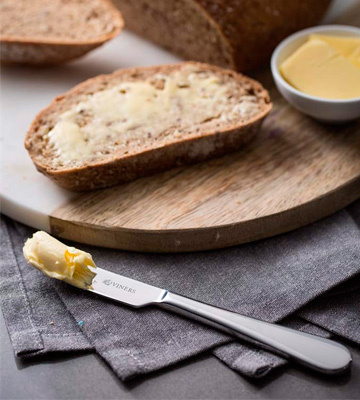 With a rounded shape, the blade doesn't work all that well with harder, tougher products but allows you to just as easily cut through butter and effortlessly spread it over any piece of bread. These knives are usually a little smaller than regular knives because you don't really need a large handle and a long blade to cut and slice butter. Other than that, knives are knives, you can't really go all that wrong with any one of these models. 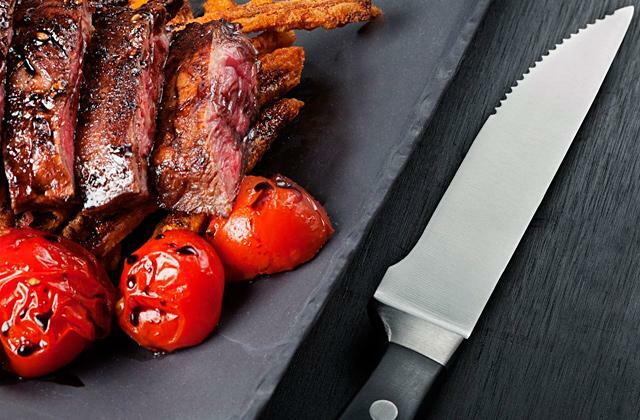 Now, while you're at it, you might just as well check out our reviews of steak knives and chef knives.